On Sunday, August 12, 2018 we exceeded all our expectations. 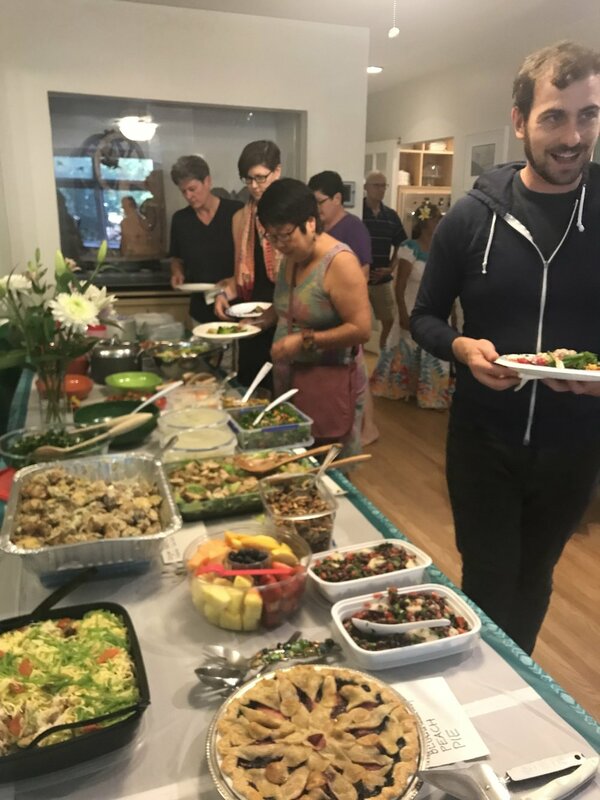 Many people showed up to help us raise money for the downpayment on our new home for the Zen Center at 46 Lake Street. With the help of a $5,000 matching gift, we raised $29,163. June Tanoue Sensei gave a wonderful Dharma Talk on "Mindfulness and Embodiment". Following our regular Sunday Morning Zen meditation and talk, there was a beautiful series of hula dances presented by Halau I Ka Pono, the Hula School of Chicago. 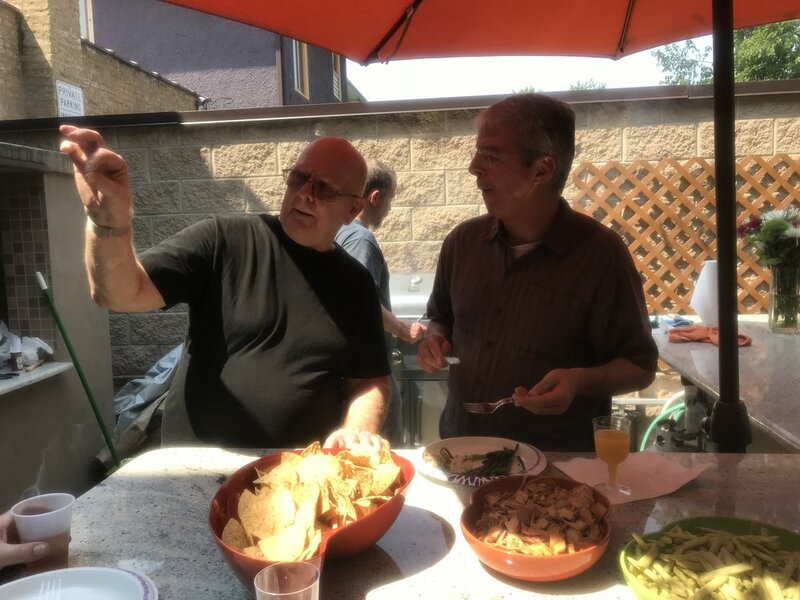 Food and drinks were enjoyed by all, and Dan Doherty showed us what is possible in the charming back yard by barbecuing some delicious chicken. The space was filled with a familiar family warmth as well as much laughter, song and music. It was a completely satisfying and successful beginning, and we are so grateful for the warm and generous community and the many gifts you brought on this special day. As of today, Sunday, August 19, 2018, we have raised $108,912.74. We have raised about another $10,000 in pledges and Facebook campaigns, so we are close to our $150,000 goal. Help us reach our goal by giving generously today. If you have already given, consider giving again. We're so grateful for the enormous amount of energy and support we have received from all of you. The Zen Life & Meditation Center, Chicago is a 501(c)(3), nonprofit religious organization, so your donation is fully tax deductible.